A global campaign to eradicate female genital mutilation [FGM], often misnamed "female circumcision," continues. While foreign NGOs have made Iraqi Kurdistan a center of the effort to do away with this practice, many observers have argued that it is not a "Kurdish" problem. FGM is also not just a "Muslim" phenomenon. However widespread it may be among Iraqi Sunni Kurds, its acceptance in Islam is limited. According to the German relief organization WADI [The Association for Crisis Assistance and Development Co-operation], in the four provinces of Iraqi Kurdistan, only the farthest north, Dohuk, which borders on Turkey, shows little evidence of FGM at any age. Among the remaining three "governorates," in the province of Erbil, named for the capital of the Kurdistan Regional Government (KRG), 63% of women have undergone the atrocious custom; in Suleymaniya, 78%; and in Garmyan/New Kirkuk, the southernmost, 81%. 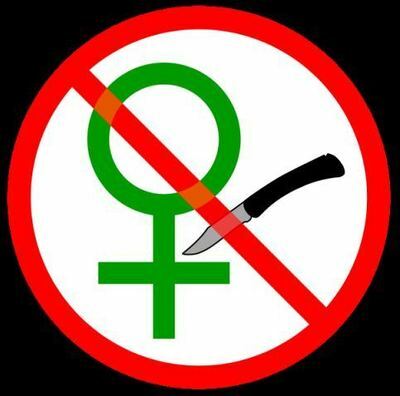 A WADI report on FGM in Iraqi Kurdistan, issued in 2010, stated that in the oldest age ranges – women between 50 and 80 years old – 80 to 95% of a statistical sample had been subjected to FGM. FGM is also found in West African countries with non-Muslim majorities such as Benin (42% Christian, 24% Muslim, 17% "Voudoun"); Cameroon (40% "indigenous," or animist, in religion, 40% Christian, and 20% Muslim); and Ghana (71% Christian, only 17% Muslim, and 5% "traditional.") And in Africa they are not exceptions. Nevertheless, because FGM is perceived as an "Islamic" problem, some responsibility for its abolition rests with the leaders of the worldwide Muslim community, or ummah. The struggle against FGM must be led by Muslims, to remove the stain of this ongoing scandal from our religion. In Iraqi Kurdistan and elsewhere, Islamic scholars have argued over the legitimacy of FGM. Even the notorious radical cleric Yusuf Al-Qaradawi, although aligned with the Egyptian Muslim Brotherhood, is well known for his 2006 fatwa warning that hadiths (oral commentaries of Muhammad) cited to support FGM are weak in their transmission by witnesses – the basis of hadith studies. Qaradawi pointed out that "women in Islamic nations lived for centuries without circumcision being a concern, as it did not exist." He admitted, however, that "it is happening today in countries like Egypt and a few other countries in the Arab world." In 2011, according to the internationally-distributed Kurdish-language newspaper Rudaw, a distinguished Kurdish expert on Islamic law, Dr. Mustafa Zalmi, declared without hesitation that FGM is prohibited in Islam. Zalmi earned his degree in Islamic jurisprudence from the renowned theological university of Al-Azhar in Cairo. He argued that as FGM is absent from Mecca and Medina, where the Islamic revelation was received and the early Muslim community was organized, there is no justification for its existence either there or in remote places such as Iraqi Kurdistan. He was supported, if only in spirit, in his stand against FGM, by Mullah Ahmed Shafi'i, a member of the KRG's Fatwa Committee. The KRG passed legislation banning FGM, as a form of family violence, in August 2011. That measure was answered by the objections of a radical cleric in Erbil, Ismail Sussai, in an incoherent sermon, which declared FGM "obligatory" and called on KRG president Massoud Barzani not to sign the law forbidding it. Barzani, indeed, did not sign the bill, but allowed it to be published as a new regulation in the KRG Official Gazette. This created an ambiguous situation. Barzani and his supporters could claim the law was in effect, but his opponents among the extremist clerics could ignore it. WADI states that the anti-FGM law in Iraqi Kurdistan has had a visible effect, and that the incidence of the procedure is declining. But critics of Barzani's government say that it has lagged behind in suppressing FGM. On February 6, 2013 – the "International Day for Zero Tolerance of FGM" – an anti-FGM law covering the whole of Iraq was presented to the country's parliament, but without further action. As a precedent, on December 20, 2012, the United Nations General Assembly adopted unanimously a resolution calling for all countries to ban FGM. 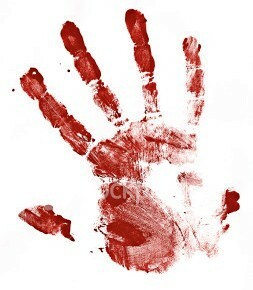 But like most UN activities, the resolution, which is not legally binding, was an empty gesture. In September 2012, a year after the KRG published its ban on FGM, Reuters news agency distributed a substantial report from Tutakal, an obscure Kurdish village in Iraq, where FGM had been established for generations. Last year, apparently, the residents of Tutakal agreed to end the abuse of young girls that had been imposed on the pretexts of tradition and faith. Enhanced government services and the erection of small classrooms provided helpful incentives to arrive at this decision. The Reuters account quoted Golchen Aubed, aged 50, who admitted that she had allowed her four daughters to be genitally mutilated, because of what Westerners might call "peer pressure." She said that if she had not done it, her neighbors would have wanted to know why. 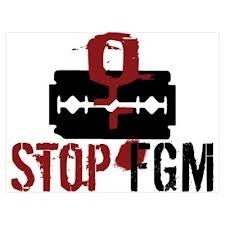 But her son Lukman, who has a daughter free from FGM, has pledged that if he hears of anybody in the village carrying out such acts, he will report them to the police. In addition, Aubed said, she has a second son, with two daughters, who have also not been victims of FGM. The main lesson from the village of Tutakal must be that while NGOs and international rhetoric may publicize the crime of FGM, it must be stopped where it takes place: in homes and communities. Reuters quoted the headman of Tutakal, Sarhad Ajeb, as he sat in the small local mosque. "We now feel the pain of the woman," he said. "The woman feels incomplete because when they do this, they cut a piece of flesh from a woman." Perhaps most importantly, he affirmed, "There is no mention of this practice in the holy Quran." For moderate, conventional, traditional, and spiritual Muslims, that should settle the question of FGM. The suffering inflicted on young girls has no religious or medical justification, and should be wiped out wherever it is encountered.